I'm still playing with my Christmas Stamps!! It kind of offsets the heat and humidity that we are experiencing today! 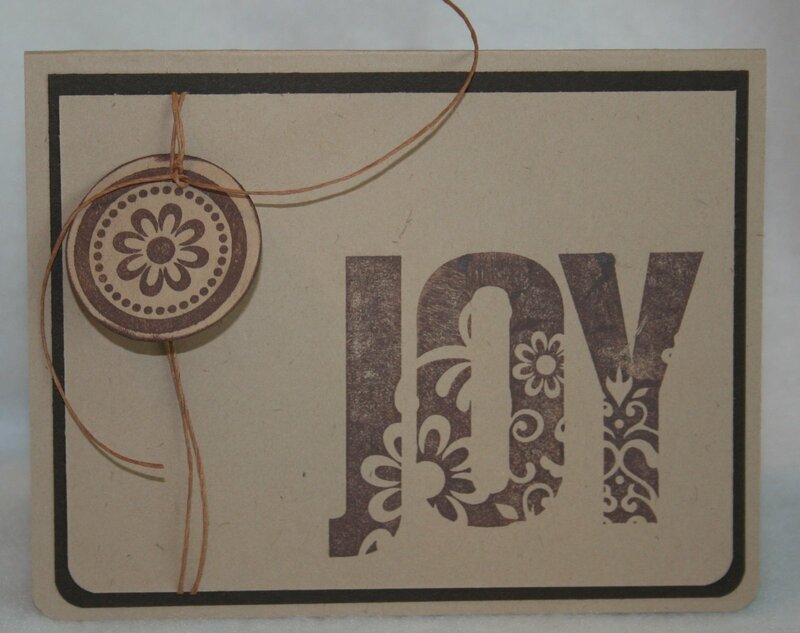 This simple yet elegant card was made with one of our new stamps, Joy of Christmas. It uses both Kraft and Brown Cardstock -the bottom corners are rounded. The tag is attached using one of my favorite embellishments, Scrappers Floss.